I’ve had an amazing few months traveling through Australia and Europe, leading up to two exciting events this week. 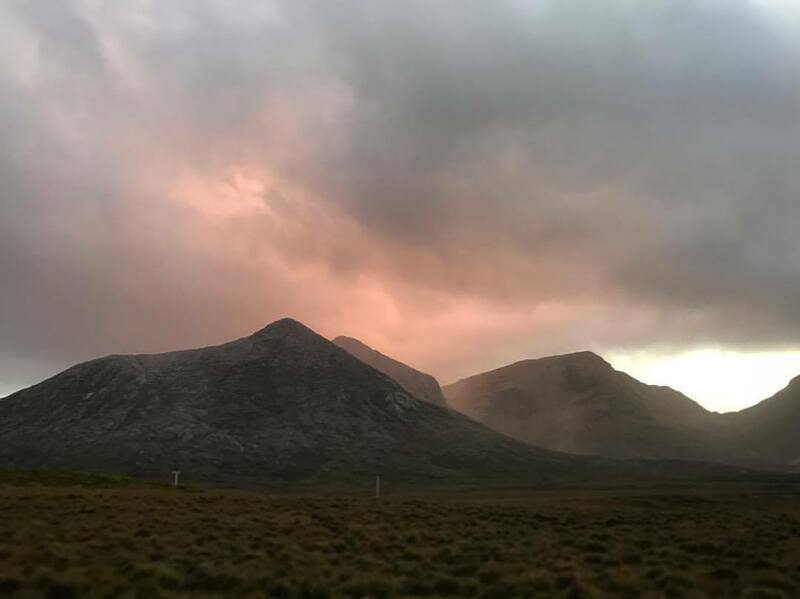 I spent August as an artist in residence at CAMAC Art Centre in Marnay-Sur-Siene, France and for the past month at Interface in the stunning Inagh Valley of Connemara western Ireland, culminating with a performance at the Galway Jazz Festival this Saturday, October 10th. I’ll be performing with Rauno Nieminen, a renowned performer, luthier and scholar of the medieval instruments of Northern Europe, who I began collaborating with in Finland in 2014. When I first met him to experiment with processing his instruments through MaxMSP software, he said to me, “the kantele is the national instrument of Finland and the Kalevala (creation myth), so it will be important to destroy it.” Here is a recording of us doing that. Next Wednesday, October 11th, I’ll be back in New York in my capacity as Cultural Program Curator at Lévy Gorvy Gallery where we will present a concert in celebration of the exhibition Pat Steir: Kairos. Starting at 7pm with a set by the phenomenal Sandbox Percussion, and followed by a set from singer Alicia Hall Moran, guitarist Brandon Ross and bassist Melvin Gibbs that promises to be fantastic. I look forward to seeing you there or wherever we may meet again. Copyright © 2017 ergo, All rights reserved.